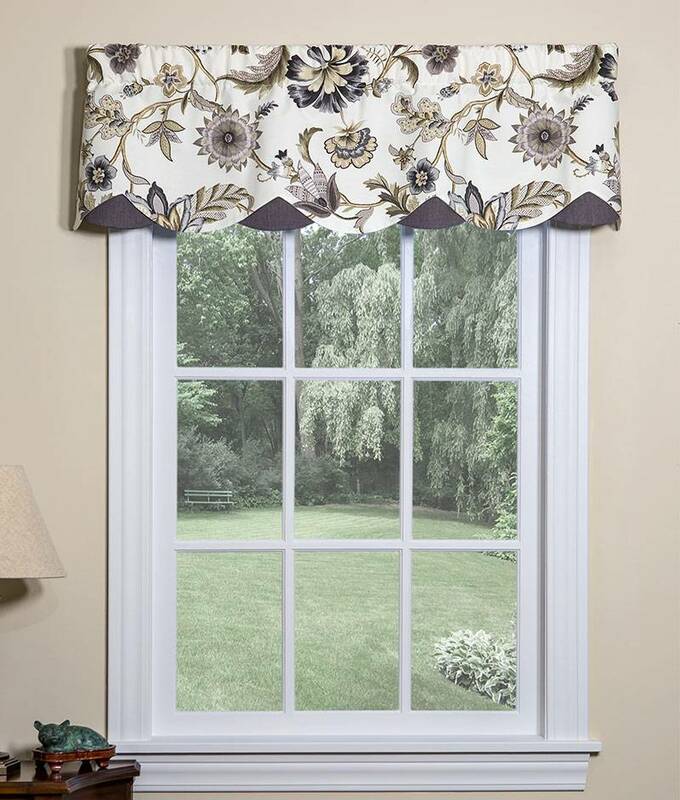 This Azahar Lined Petticoat Valance combines a medium scale Jacobean floral pattern with an underneath layer of solid color fabric. 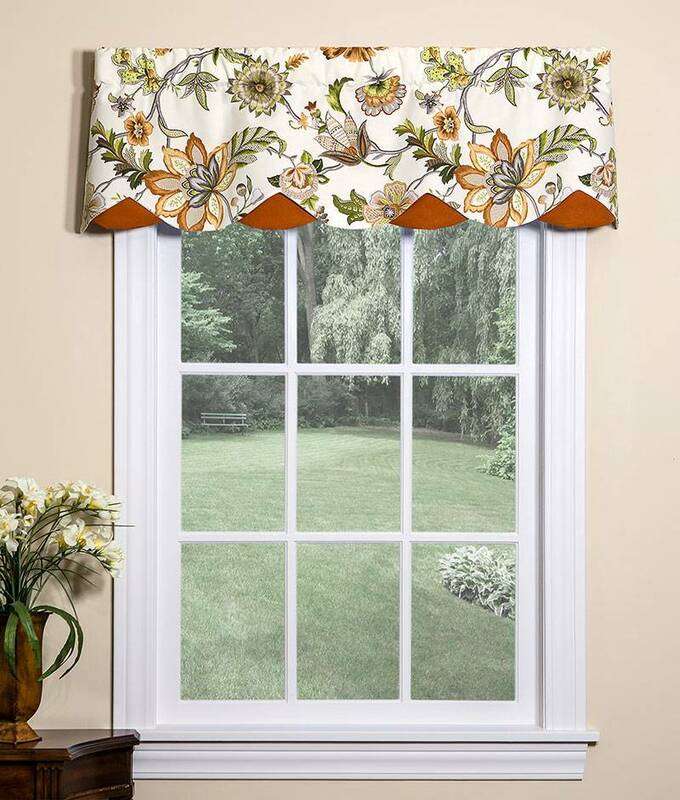 The double layer of fabric and alternating scallops give this valance a clean tailored look. 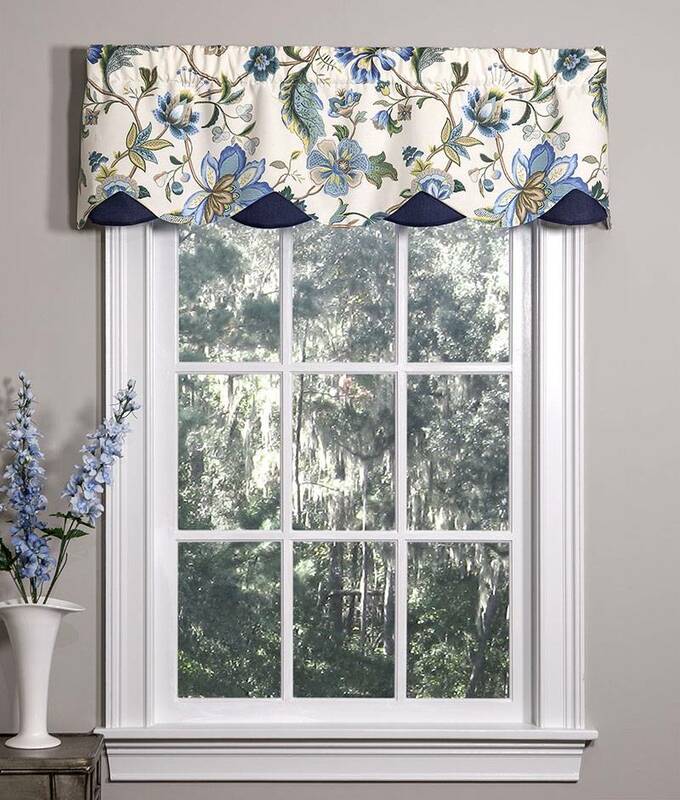 Hang alone for single windows up to 40" wide (as pictured on the left) - for wider windows, shirr additional valances on to the same rod. Fully lined for protection from harsh sun. Handcrafted in the USA. Available in your choice of colors.